The recent state budget allocated $2.5 billion over 4 years for work on the Northwest Rail Link, including $314 million for the current 2011-12 year (mostly for land acquisitions). This will allow preliminary drilling along the proposed alignment, which will determine how and where the underground tunnels will be constructed. The project is still a number of years away from commencement of actual construction (the government is aiming to start on this by the end of 2015), with the final alignment and even the number/location of stations not yet finalised. Geotechnical work like this was done for the Parramatta to Epping Rail Line, Bondi Beach Extension, Northwest Metro, CBD Metro and Western Express, all of which were subsequently deferred (i.e. cancelled). So this is still not an indication that it’s definitely going to happen. Technically, the final cost estimate has not even been come to yet. And based on previous experience with Sydney’s non-road transport projects, the amount is likely to only get bigger and bigger. In fact, it’s already happened. The Northwest Rail Link was costed at a very reasonable $360 million in 1998, blowing out to $6.7 billion in 2010 and most recently $8 billion in 2011. 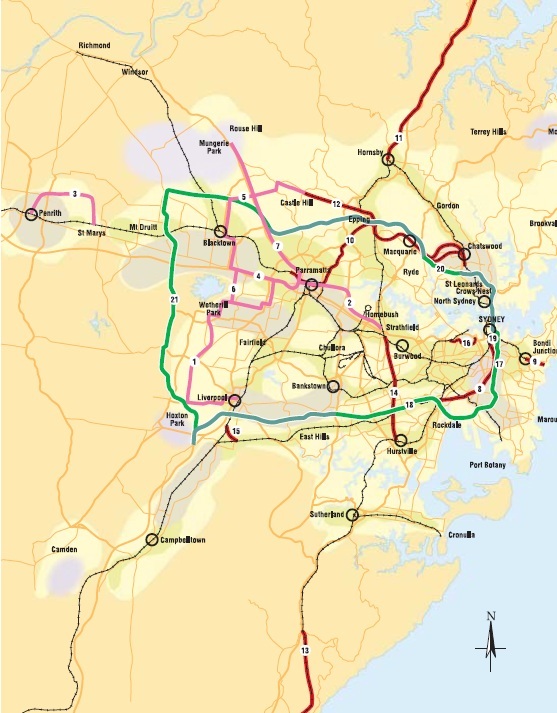 The 1998 figure was only for Epping to Castle Hill, which is one third the length and has a quarter of the stations of the current proposal, but was also entirely underground (whereas one third of the current route, between Norwest and Cudgegong Road, is above ground). It is also in 1998 dollars and should take inflation into account. But even factoring these things in, based on the 1998 cost estimate, the Northwest Rail Link should have a price tag of around $1.5 billion, not $8 billion. John Bradfield’s plan for Sydney’s underground rail lines through the city included a Harbour Crossing, a City Circle line and an Eastern Suburbs line. The first was completed with the construction of the Sydney Harbour Bridge in 1932, but the Great Depression and World War 2 put the others on hold until after Bradfield’s death. The rise of the motor car after World War 2 meant these other two lines were not completed till 1956 and 1979 respectively. The City Circle was actually mostly completed in the early 30s, with Town Hall/Wynyard on the Western end of the CBD and Museum/St James on the Eastern End. Eventually, these were united in 1956 with the construction of Circular Quay Station. 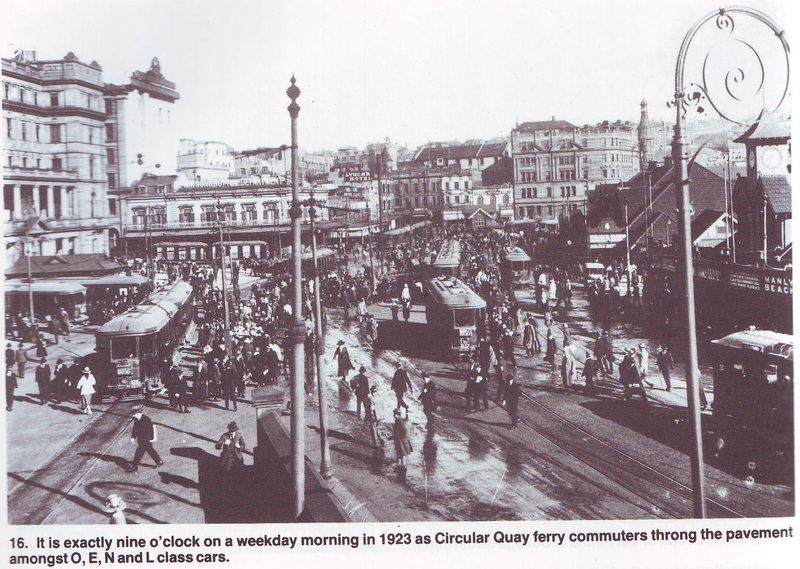 Before this, Circular Quay was a significant interchange between ferries (it was and still is the major ferry terminus in Sydney) and trams. This can be seen in the photos above. The state government had been phasing out trams in the 1940s and 50s, replacing them with buses, the final tram running from Circular Quay down Anzac Parade to La Perouse in 1961, only 5 years after Circular Quay Station was completed. 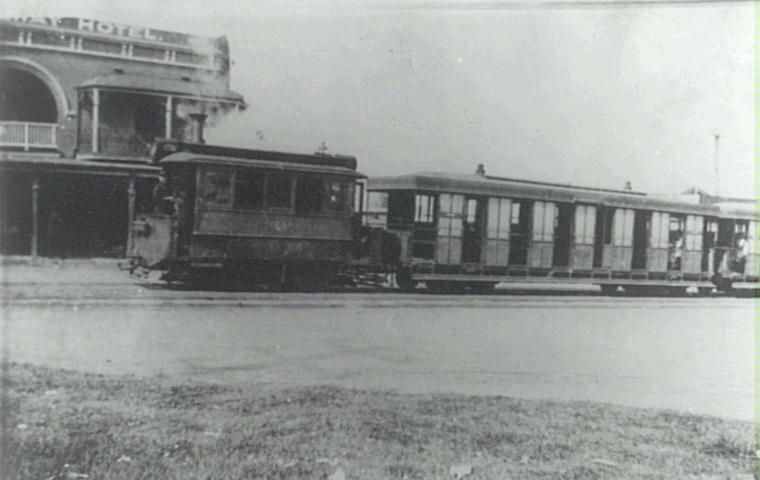 You can see footage of this last tram in the video below. The removal of trams from Sydney’s streets is regretted by many today, particularly by those pushing for their return, but it did have one benefit in this case. Bennelong Point, on the Eastern end of Circular Quay, was used as a tram shed up until 1961. 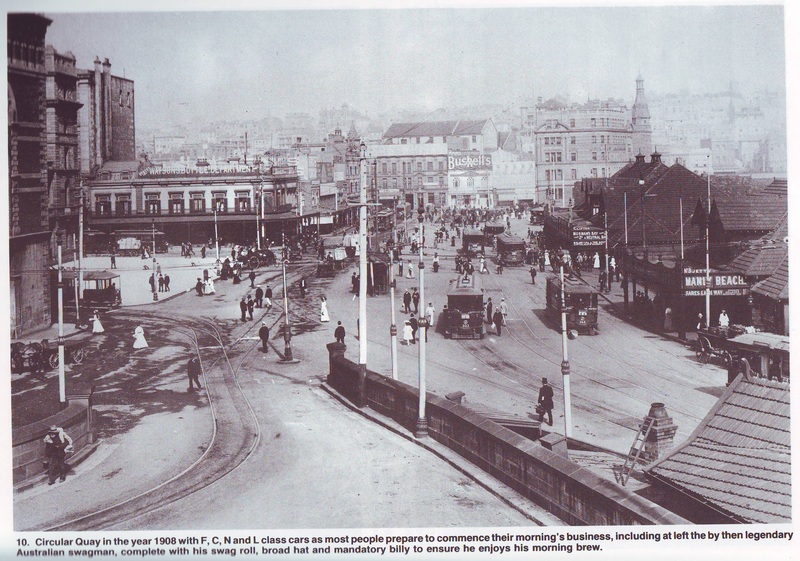 Now a vacant lot, it was decided to build a great cultural icon there in place of the old tram sheds. The result was the Sydney Opera House. Should trams ever return to Sydney, I highly doubt that the Opera House will make way for the tram shed that used to be there. The Cahill Expressway was later built over Circular Quay Station, allowing cars travelling Southbound on the Harbour Bridge to bypass the CBD when travelling to its Eastern end. There have been proposals to move the Cahill Expressway underground in order to reclaim it as public space (such as this proposal) or a bus interchange (to relieve the struggling Wynyard bus interchange). Today, Circular Quay is the only station on the Cityrail network (to my knowledge) that provide free wifi. Ironically, the ferries (which are located right next to the station, and whose wifi you could probably connect to from within the station) also have free wifi, and from what I hear provide a much better connection. Following the recent government announcement of an 18 month delay to the light rail extension to Dulwich Hill, reports have emerged that the private operator of the light rail, Metro Transport Sydney (MTS), believes that the extension could be completed within a year for less than the government’s estimate of $170 million. Rail to Cronulla dates back to 1911, when a steam tram line between Sutherland and Cronulla opened for passenger service. This single track service operated until 1931. Construction on the current heavy rail line began in 1936 and was completed in 1939. As with all new suburban lines since electrification was begun, this line was electric from day 1. Like the tram line before it, this was also a single track line, with passing loops at Gymea and Caringbah. It would eventually be extended to dual track, first between Gymea and Caringbah in 1985, and then the rest of the line in 2010 as part of Cityrail’s Clearways project. Interestingly, Cronulla station itself retains only a single platform, but one that has capacity for 2 trains. One half of the platform is designated as platform 1 and the other half designated as platform 2. It is designed so that trains can arrive and depart from each of these two “platforms” independently of each other. This is unique to Cronulla station in the suburban cityrail network. The new Liberal government recently announced that they would be reviewing the state transport plan. It’s probably worth quickly going over the existing transport plan and those that preceded it. 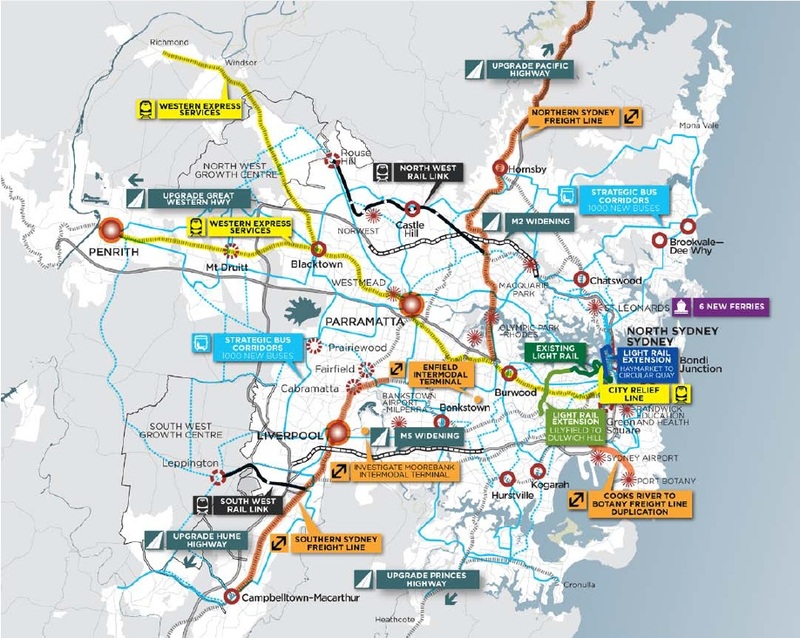 The previous Labor government produced transport plans in 1998 (Action for Transport 2010), 2005 (City of Cities: A Plan for Sydney’s Future) and 2010 (Connecting the City of Cities). The first was a 12 year plan (with proposals for 3 train lines post-2010), while the next two were 25 year plans. The plans themselves were actually quite good, particularly the first in 1998. The problem was implementing them. For example, the first plan in 1998 had 16 proposals for public transport and 5 for new freeways. Of those 21 goals, it achieved 2.5/7 busways (the Parramatta to Liverpool T-Way, theParramatta to Rouse Hill T-Way, and half the Blacktown to Castle Hill T-Way), 1.5/8 rail lines (the Airport Line and half the Parramatta to Chatswood Line), 1/1 light rail lines (the extension to Lilyfield) but 5/5 new freeways (the Eastern Distributor, M2, Cross City Tunnel, Lane Cove Tunnel, and M7). In other words, it built as many road projects as public transport ones, despite proposing over 3 times as many public transport projects as road ones. As I mentioned in my post on the Dulwich Hill Light Rail update, the RTA and NSW Treasury have jointly worked to torpedo many of these projects in the past. They have done this by over-inflating the price and focusing on roads at the expense of public transport. Going back to the new transport plan. The key thing here is not how many or even how good the government’s transport plan is. The 1998 plan was a good one, and even the plan to build an independent network of metros which the Iemma and Rees governments briefly considered would be better than what we have now. As long as something is actually delivered at the end of it all, not just a plan. The new Liberal government has eliminated the RTA, which will hopefully get rid of one road block to improved public transport (no pun intended). But I’m still not holding my breath on this. The bulk of the Cityrail suburban network had been electrified by the time the Harbour Bridge was opened in 1932. However, complete electrification would take a further 59 years (edit: thanks to Jim for pointing out my typo), occurring in bits an pieces with about one line being electrified every 10 years. The next line to be electrified was the Carlingford Line. However, this happened in two stages: Clyde to Rosehill in 1936, then Rosehill to Carlingford (and Rosehill to Sandown) in 1959. I will cover the rest of the Carlingford Line as part of the 1959 electrification post. The line has dual tracks between Clyde and Rosehill, after which a single track continued North to Carlingford and another went East to Sandown through the industrial park. 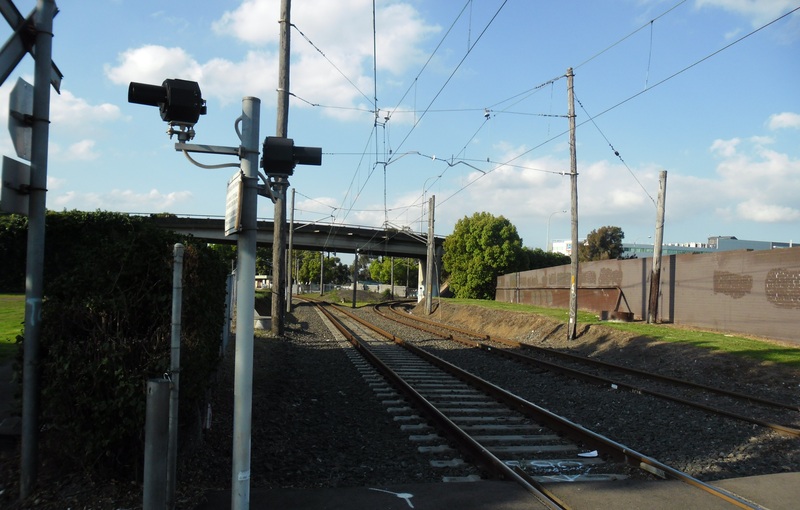 The first stage of electrification allowed electric trains to be run up to Rosehill station, which is adjacent to the Rosehill Racecourse, rather than having passengers have to take a steam train. The Sandown Line and its 4 stations, used mostly by the workers along Grand Avenue in Camellia, would eventually be closed to passenger trains in 1990. Today it is used as a freight line, serving the warehouses and distribution centres. 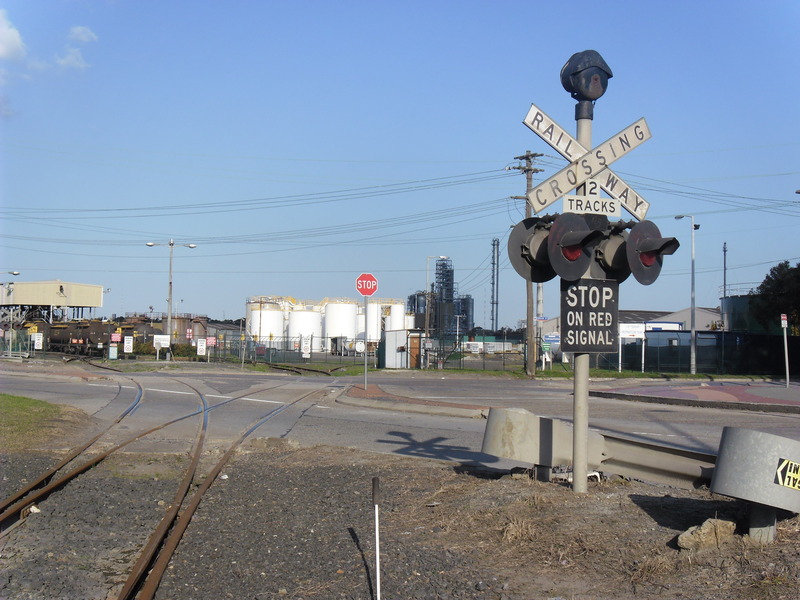 This portion of track has a level crossing, and there is usually a freight train that goes through there daily at around 6PM. If you happen to be driving along there at that hour, you can get stuck for about 20 minutes waiting for the freight train to pass. I know this from personal experience. Post Script: Jim points out two things in the comments below. One is that Richmond was not electrified until 1991, making the period 59 year. I made a calculation error in working out the number of years between 1932 to 1991 and wrote down 49 years by mistake. This has now been corrected. The other is that as of 2010, freight trains no longer use the Sandown Line. I’ll have to take Jim at his word, though I will say that the last time I saw one on it was in mid 2009, which is consistent with what he says.